Buy/Sell Agreements | Schlueter, Mahoney & Ross, P.C. Buy-sell agreements, also known as buyout agreements, are arguably some of the most critical documents a business needs. These legal agreements exist between co-owners of a business and dictate what happens to the business and each co-owner’s interest upon the death or departure of one of the owners. Without properly drafted buy-sell agreements, co-owners often end up in court and the business suffers, or worse, is completely destroyed. A buy-sell agreement is, ideally, signed before the business is started, but it’s never too late to have one created if multiple owners are involved. 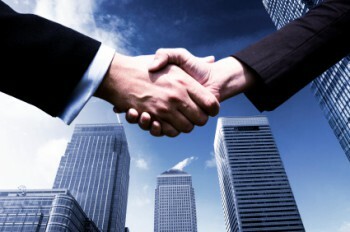 Having the document drawn up and executed by a legal professional is crucial to the success of the agreement. A qualified attorney will be able to draft an agreement that is fair to everyone involved and clearly defines the instances in which the buy-sell agreement will come in to play. The business attorneys at Schlueter, Mahoney & Ross, P.C. are qualified to draft buy-sell agreements for your business or to review agreements that you’ve been presented with to ensure your business interests are protected. When you meet with a lawyer at Schlueter, Mahoney & Ross, P.C. you’ll be meeting with an experienced business and contract law attorney who is familiar with the intricacies of Colorado law. Our firm has been operating in Denver, CO for over twenty years and can advise you in all of your business legal concerns.